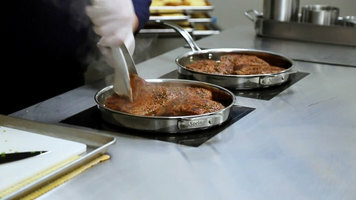 Lakeside 3070 Creation Station Mobile Stainless Steel Induction Cooking Cart with Hard Rock Maple Laminate Finish - 32" x 60" x 35 3/4"
Creating a memorable, interactive dining atmosphere is easy with this Lakeside 3070 Creation Station® mobile stainless steel induction cooking cart with a hard rock maple laminate finish! 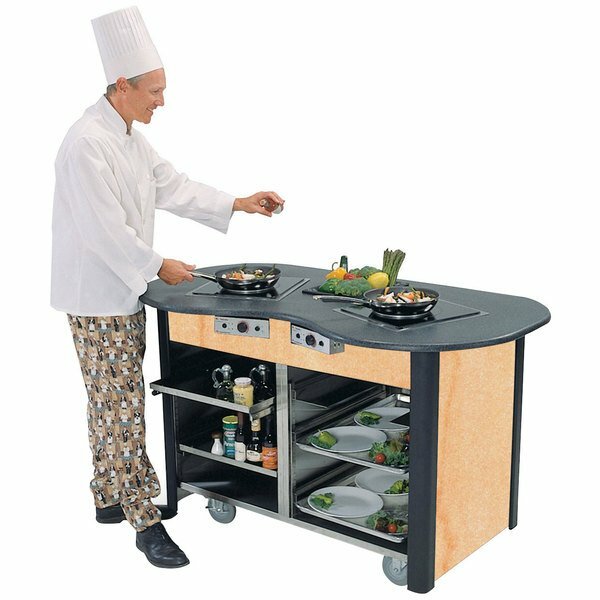 Thanks to two energy efficient 120V, 1800W induction burners, this cart allows you to saute vegetables, brown meat, and rethermalize made-to-order pasta dishes right in front of your guests without the danger of an open flame. This unit's solid resin top is heat-resistant and comes with a built-in 10" x 12" x 6" bin with eutectic refrigeration to keep perishable ingredients right at your fingertips, while its lower cabinet is constructed of durable stainless steel for easy cleaning. Plus, its hard rock maple laminate finish gives it a polished, professional look that will fit in with your existing decor!